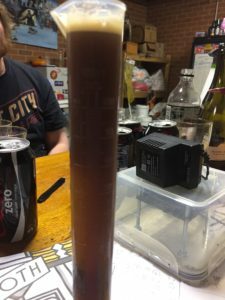 Let me start by saying that getting this brew into the fermenter has certainly had its challenges! 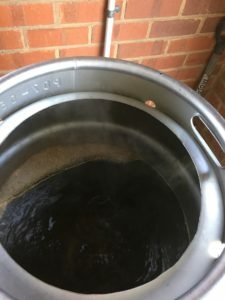 That said, it is the most complex style I have tried to date at brew day number #4 but I am quietly hopeful based on where it’s at so far, at the very least I will have something I am happy to drink 40 odd litres of. 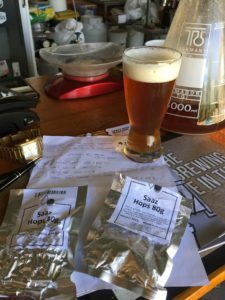 So it all started, last month when I was unable to attend Brew Club due to family commitments I set to creating my recipe. After around two hours of tweaking, reading and considering my options I had something I was happy with. 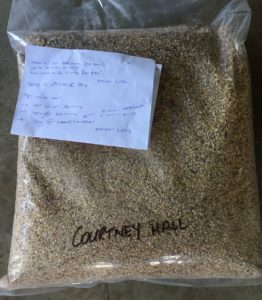 Fast forward to the Wednesday when I intended to order my supplies for brewing that coming weekend and Beer Smith, lost the recipe, which left me recreating it late at night in order to process my grain and grape order. 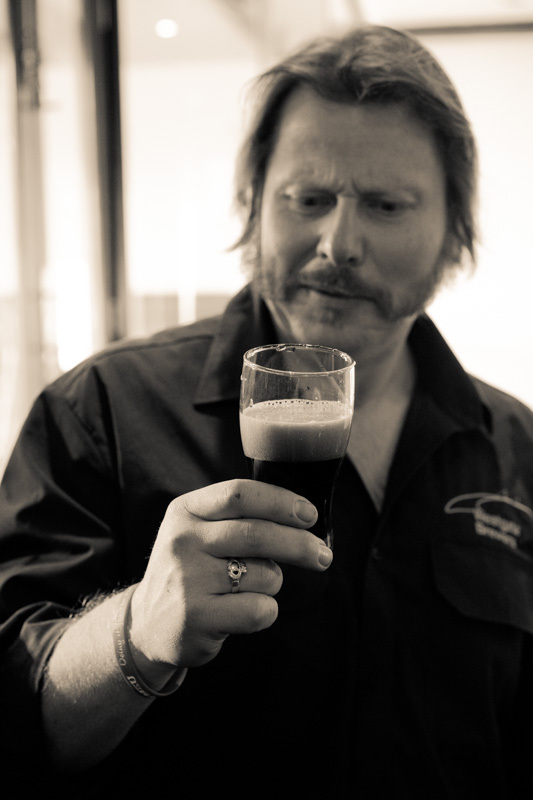 Ok fine, that’s my mistake for this beer (I’ve had one for all of them so far) it’ll be smooth sailing from now on in. 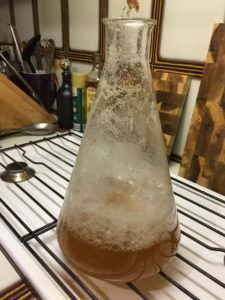 Friday night, after the kids were in bed I elected to make my first yeast starter as I was going to use a Wyeast Liquid Lager yeast. That process, was ok except for (it’s the only time in the history of the world that has ever happened to me) the slap pack exploding in my face, thanks Ferg! Ok, now its brew day around 8am Sunday morning, no kids, I turn the system on to get up to temperature. Dough in was uneventful, lots of dough balls apparently I need to “be more patient young Jedi”. So I’m doing a 1 step mash which meant I needed to bring the mash up about 7 degrees for the last 10 minutes before mash out. Now I am extremely grateful for the mentoring I get from our President (who had gone out for a short time) and I am very privileged to have his 3 vessel Hermes or ‘Hermione” as I call her at my disposal. Of course in trying to change the temperature setting on the heat exchange I did something wrong, had to turn everything off and start over, it did only cost be a little time. 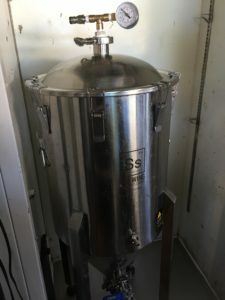 The boil ran fairly smoothly and at 90 minutes with only a couple of additions there was plenty of time for cleaning the fermenter and getting setup for transfer. This is always a hoot, have I mentioned how much I adore pulling apart and cleaning ball valves? Look it kept me entertained and distracted enough not to neurotically pace up and down past the kettle however, I must have delicate hands and didn’t reassemble quite firmly enough. Cue transfer there are points leaking from the fementer which resulted in Ferg Star-saning from wrist to shoulder and going in! 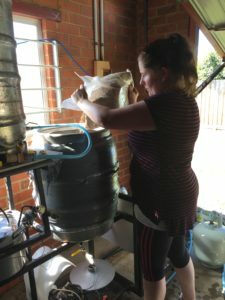 All the while convincing me that I should be the guinea pig for us to ferment this puppy under pressure, because, you know, all the cool kids are doing it! In the end, I hit my targets, pitched my own starter plus a little extra and it’s ticking away in the fridge. 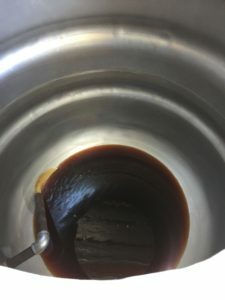 I’ve had to nurse the yeast and tweak the temp a little when activity has slowed down and I’m not quite at my desired gravity just yet but so far so good, I’ll keep you posted.